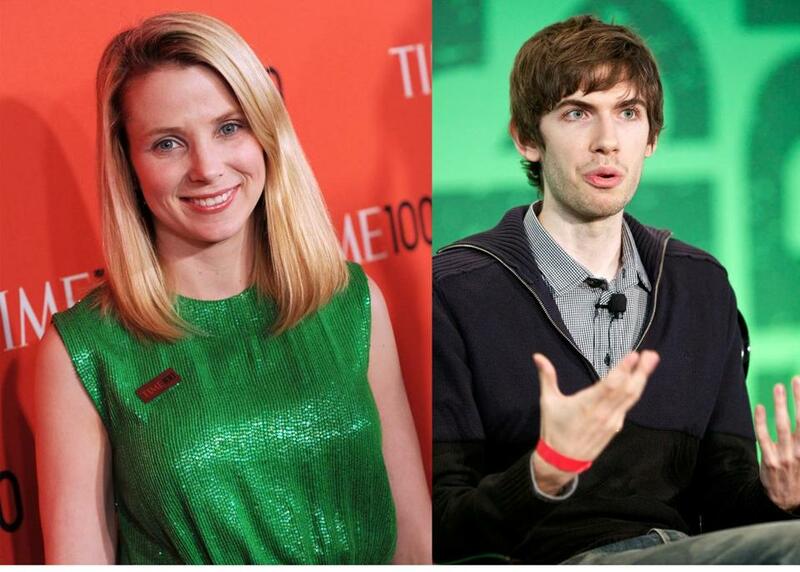 As part of her strategy to revive the brand and bring back younger users, Yahoo’s chief executive, Marissa Mayer, began courting Tumblr founder and chief executive David Karp. Boston’s Spark Capital stands to make an enormous windfall from the $1.1 billion sale of the popular blogging site Tumblr Inc. to Yahoo Inc. The venture capital firm, which was instrumental in the early development of Tumblr and led its first two rounds of funding, had an ownership stake of about 18 percent in the start-up, according to Spark general partner Todd Dagres. The firm’s total investment in Tumblr was under $15 million, so its potential profit could be around $180 million; at that level, Spark would make more than 10 times its investment on the sale to Yahoo, a huge profit by any standards in the venture capital world and unusual in the current era of corporate deals. Spark was among at least six firms that invested a total of $125 million in Tumblr, which is based in New York City and has become one of the fastest-growing social media sites on the Web, with more than 100 million users. The big payday for Spark harkens back to the 1990s bull market, when venture capital firms routinely harvested huge profits when the hot technology companies they backed were purchased at huge premiums or became stock market darlings themselves. Such paydays for Web companies are less frequent today, but appear to be returning in places. Also on Monday, a private equity firm, Vista Equity Partners, agreed to buy the online security company Websense Inc. for $907 million. Spark may soon be looking at another big payday. It is an early investor in Twitter, the social media giant that currently is valued between $8 billion and $9 billion, and which is expected to go public later this year or early next. For now, Tumblr is one of the biggest deals to date for Spark and also serves as validation of its strategy to specialize in risky social media start-ups, some of which do not have obvious ways to make money from their services. In fact, Tumblr’s estimated revenues last year were just $13 million. But Dagres said the firm was convinced that Tumblr founder David Karp, 26, whom Spark first met when he was 19, was on to something significant. Spark, and especially general partner Bijan Sabet, worked closely with Karp to help him develop a company that today has a loyal following of users who post and share text, photos, music, and videos on the site. Tumblr wasn’t for sale until Yahoo’s chief executive officer Marissa Mayer, a former Google Inc. executive who joined the company last year, began courting Karp, according to Dagres. Since she joined the flagging Internet company last year, Mayer has been working to revive the brand and bring back younger users, who have been leaving Yahoo for Facebook Inc. and Google. Yahoo reported that its revenues for the first quarter of the year were $1.14 billion, down 7 percent from a year earlier. As part of Mayer’s effort to revive the company, she has acquired six other companies. Tumblr is her biggest so far. The Tumblr deal may bring new users to Yahoo, but it is unclear if the blogging site will maintain its popularity and actively engaged user base under Yahoo’s leadership. Yahoo has a reputation of not successfully integrating other Web companies it has acquired, such as GeoCities and the photosharing site Flickr. Yahoo said in a release on Monday that it would maintain Tumblr as an independent company with Karp staying on as chief executive officer. The other big unknown is how Yahoo will turn Tumblr’s popularity into profits, said Anand Sanwal, chief executive officer of CB Insights, which tracks start-up investment in tech companies.